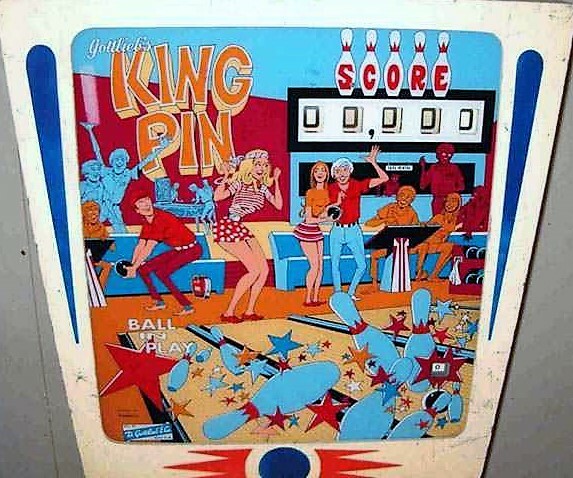 Mike Remembers: King Pin was another of the classic single player Gottlieb tables with smaller wedge shaped heads, commonly referred to as “Wedgeheads” , that graced the Merivale Arcade in the mid Seventies. Its huge row of drop targets is a real challenge to complete, and for its time, similarly to more than several of its Wedgehead brethren, was amongst the most advanced rule sets in Pinball until the advent of Solid State electronics. 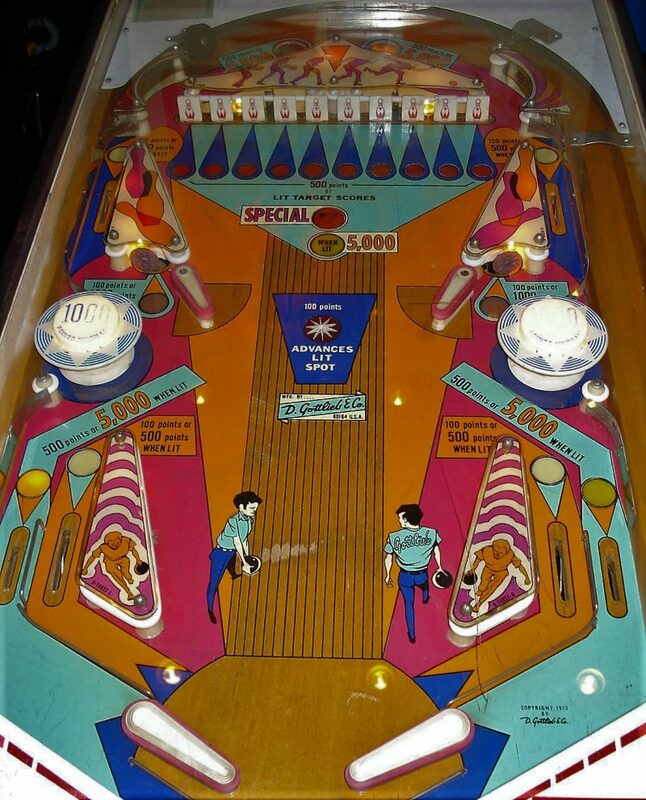 These games were so coveted by the experienced players at the time, that Gottlieb continued to produce them for a couple of years after the industry had shifted over to Solid State electronics, and Arcade owners knew these Gottlieb mechanical beasts were the Gold Standard in Pinball since the flipper hit the steel ball!